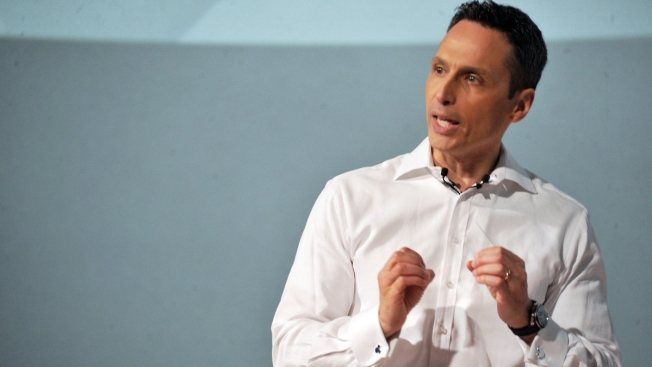 Jimmy Pitaro is the chairman of Disney Consumer Products and Interactive Media. ESPN+, the streaming video service from the sports network, has reached more than 1 million paid subscribers, the company said Thursday. It's an impressive feat, given the service just launched in April. ESPN+ will stream 10,000 live sporting events in its first year, in addition to on-demand content and past sporting events. It features games from Major League Baseball, the National Hockey League and global soccer events. It does not require its subscribers to buy a cable or satellite subscription, appealing to cord-cutters. The service costs $4.99 per month, or $49.99 per year. "Combining sports, technology and the ESPN brand is a very powerful combination, and we are just getting started," Jimmy Pitaro, president of ESPN and co-chair of Disney Media Networks, said in a statement. "Very quickly, a wide range of sports fans have seen the value of ESPN+. With high quality programming and an outstanding user experience, ESPN and DTCI [Disney Direct to Consumer and International] are expanding the ways Disney is serving sports fans." The ESPN+ service is part of parent company Disney's plans to increase its presence in the over-the-top streaming business. Disney also plans to launch a branded streaming service of its movies and original programming in 2019 and will pull its content off of Netflix. In addition, if the Disney-Fox acquisition formally closes, it will have a larger stake in streaming service Hulu. Disney shares were up 1.1 percent after the announcement. Disclosure: NBCUniveral, the parent company of CNBC and this site, is also a part owner of HULU.